This article highlights case studies in the use of lean principles and op erational planning that impact the plan and design of healthcare facilities. 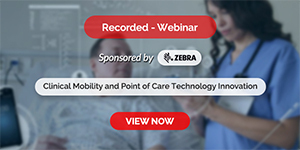 The role of operational studies on determining facility size, operational efficiencies, process improvement, and innovative approaches, delivery of care and patient / staff experience and satisfaction is demonstrated. 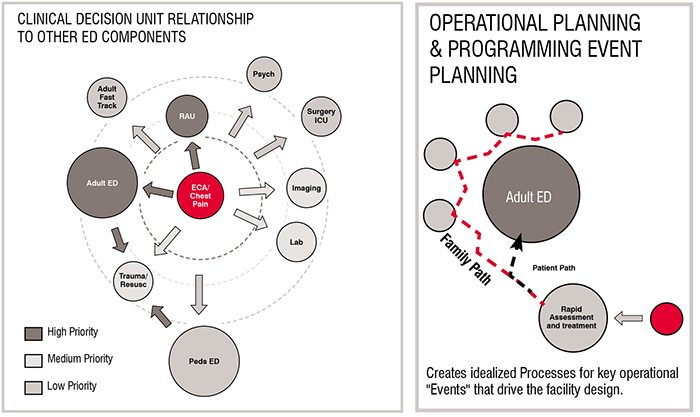 Operational planning studies play a vital role in healthcare facility planning. It assists clients in obtaining goals of improvised quality, efficiency, and experience. Lean operational planning is a methodology that draws upon the ability to specify details on objectives that can be achieved and carried out by front line staff. Both operational planning studies and lean operational planning work in tandem to provide the ability to optimise operations and impact design. Where does the organisations willingness lie in accumulating resources needed for operational planning? It takes commitment to organise and help user groups to participate in operational planning to provide data for studies and create, for example, value stream analysis or develop process maps for existing and future state processes. Looking at best practices for evaluating the clinical productivity in an area can also seem threatening to staff. Creating an overall understanding of the connections between an organisation’s strategic objectives and its assets of people, process, and facilities can help reduce fears and obstructions in the operational planning process. Helping the client identify guiding principles and goals accurately by evaluating options to make decisions from good information that involves envisioning a sustainable plan is one of the main objectives in operational planning. It takes an overall view to offer adaptable solutions to operational problems. Lean operational planning helps deliver more by minimising wastage in designing buildings and areas with improved efficiency and quality. There are many tools that can be used in healthcare planning studies. Some use lean methodology, lean six sigma or other combinations. Observational studies, process maps, value stream mapping, fishbone diagrams, process analysis, event planning, and simulation modeling are just a few when choosing what tool or tools to use for a particular study. Tool selection focus depends on what is needed by a particular client and how that tool will help increase the value delivered. Operational studies help create innovative approaches, value and improve the healthcare facility planning and design in facilities. Lean methodology is used frequently and is a dynamic process that strives for continuous improvement. In a large academic hospital, ten extra prep/recovery beds were added to the interventional program at the request of the staff. 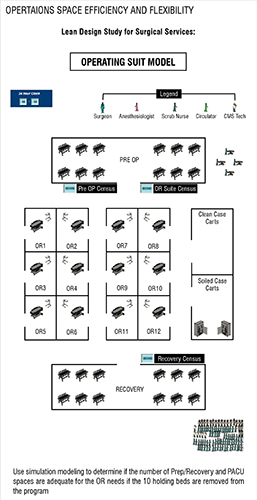 A simulation modeling study was the tool utilised in the operational planning to determine if the number of Prep/recovery and PACU spaces are adequate for the OR needs if the ten beds are removed from the program. Simulation modeling is a great tool to assess patient flow, wait times, and analyse capacity. Data for the analysis was obtained from the facility and includes OR average length of stay by service. The surgical specialty data provided minimum, average, maximum procedure duration in minutes. Next, recovery room average length of stay by service was evaluated. 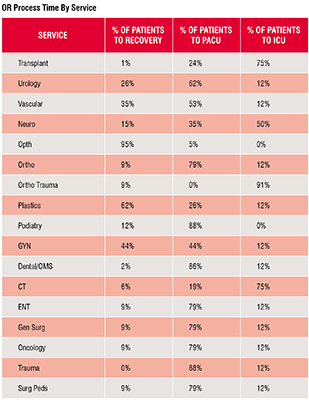 OR process time by service included % of patients to recovery, % of patients to PACU, and % of patients to ICU. Use of lean operational planning and best practices in handling lower ESI in an Emergency Department created innovative ideas for a community hospital. Emergency Severity Index (ESI) is a five-level tool. Emergency Department staff uses the levels to rate patient acuity and resource needs. Observation was one of the tools used in the operational planning to understand the role of the physical space and the culture of the facility. Culture is what defines the hospital or facility. A process or processes performed in one facility may not work the same way in another facility. It depends more on the culture. In touring the existing workspace to learn about current workflow and patient flow, several opportunities were identified. Understanding how work happens at the front-line is a major concern in operational planning. Studying the Emergency Department through process mapping allowed a visual way for staff to understand their existing processes for handling lower acuity patients and creating a future state process map for reducing wait times, improving turn-around times and improving staff efficiency. Within each acuity, process mapping for the patient flow was done. Multidisciplinary user group meetings held enables the users to see how each person’s responsibilities and actions interrelate with others. Improvements in process were developed by researching the team triage/rapid medical evaluation processes. 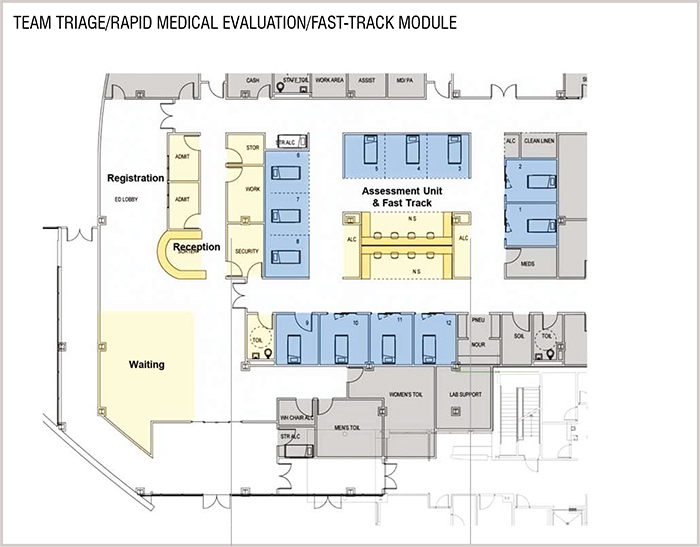 The architectural team, which included the operational planner and the client worked to develop a new rapid assessment unit located near the ambulatory entrance to facilitate rapid treatment. Metrics such as average patient wait time for a room by acuity and utilisation percentage by room type was evaluated. By treating as many patients as possible of a lower acuity before they entered the main ED, the time taken to move from door to physician was significantly reduced, reserving the main ED for more acutely ill patients. A modular approach creating a Triage/RME/Fast-track was designed. The module will enhance the patient experience and optimise efficiency of the process, staffing, and resources needed. ESI acuity 3 patients can prove to be at risk in the Emergency Department lobby and the new module quickly identifies such patients and sort out either to discharge after being examined or to send to the main ED treatment area. This unique team triage/rapid medical evaluation system makes the patient’s safety and experience a top priority. Each of the scenarios employed simulation software to inform key design decisions by comparing the efficiency of various design and operational concepts. The interesting part of simulation is experimenting with scenarios using different variables. The models are dynamic enough to handle the variables. The client was presented the simulation modeling with the various scenarios. The tool concluded that the spaces planned were adequate to handle the OR needs if the number of beds is reduced by ten as requested. This creates a US$1.5 million savings on ten rooms. The client could now make an informed decision on whether to maintain the program with the ten beds or to reduce the program size. Operational planning helped conceptualize a design to accommodate the required flexibility and adaptability needed for a major Trauma Center, in an attempt to respond to the incredible change in census and acuities on a daily and even hourly basis. Event planning was used to evaluate each clinical event or process in the Emergency Department in order to design a more efficient ED. The planning and design approach was a highly interactive process with the healthcare facility. Each event was evaluated to identify strengths and weaknesses of the facility and explore best practices. Current workflow evaluation showed only primary rooms with no secondary ED areas identified for the patients. With the future workflow, the team identified key departmental events that they wanted to restructure, including the addition of secondary ED areas. The secondary areas were created to reduce the turnaround time of the ED areas by releasing the primary ED exam beds when the main exam was complete and a disposition is made. These secondary areas include a Rapid Admission Unit, a Clinical Decision Unit and a Behavioral Health Unit within or adjacent to the ED. Unit relationship diagrams to other ED components were developed. Data analysis was done by evaluating historic workload patterns considering alterations in these patterns that accounted for projected operational and market factors. Treatment room needs were developed with this data plus turnaround time goals using a 99 per cent Poisson distribution ratio. Three main organisational strategies were developed which included the provisioning of universal acuity adaptable rooms, except for trauma and behavioural health. Standardisation of rooms and the repetitive design assists patient safety and helps staff to easily find supplies. Rooms can be tested as mock-ups and enhance the quality of the design. The second strategy was implementing universal modules which enhanced patient visibility and the ease of closing down modules completely or in part and connecting other modules. The modules were designed to interlock. The pattern helps staff movement during peak shifts. The third strategy was structuring secondary treatment areas to decrease turn-around time of primary ED beds. Operational planning studies identified ways to reduce turn-around times and improve efficiency. Operational planning and design optimised efficiency of physicians and staff and created optimal patient-staff experiences. The standardisation of rooms promoted patient safety and induced flexibility in patient management during a surge in admissions. Operational and space inefficiencies are the most common reasons that impel facilities to renovate or expand. Operational planning allows a deep understanding of the operations of a department, the assessment of the challenges, while analysing options and recommending potential solutions. Operational planning, using many tools including lean methodology enables the ability to conduct studies that allow the client to make informed decisions and improve efficiency and quality. Marvina Williams is a registered nurse and Senior Healthcare Operations Planner on Perkins+Will’s Healthcare Planning + Strategies team. 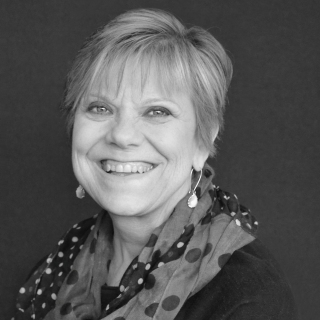 She previously directed a large emergency department and enjoys connecting the architectural team and clinical users. She is an expert in workflow, workload and staffing, clinical procedures and support services.